Brother Hatzenbuhler graduated from North Dakota State University (Fargo, ND) with a Bachelor of Science in strategic communication with a minor in art. He served Phi Chapter as Secretary and President. 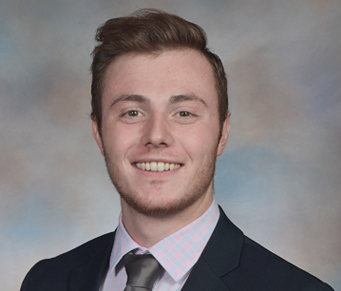 On campus, Derek was involved with numerous organizations including Student Government, Pi Kappa Phi Honor Society, and Blue Key Honor Society. Before becoming a Field Executive, he was a fellow at Dakota Medical Foundation and worked primarily on Giving Hearts Day, North Dakota’s largest day of giving. Derek is the recipient of the 2017 Reginald E.F. Colley Memorial Trophy and was recognized as a Resolute Man during the 2018 International Convention.